The Micro Housing for Homeless + Disabled Veterans is a research and design project conducted by the School of Architecture, NC State University and sponsored by the North Carolina Coalition to End Homelessness*. David Maurer served on the class advisory committee throughout the 2018 semester, so TightLines has been actively involved in teaching students how to provide solutions for affordable veteran housing. The assigned semester project was to design micro-housing on rural, suburban, and urban sites in the Triangle. The program includes housing units, a supportive services building, and associated landscape areas, and incorporates accessibility and other special needs of homeless and disabled veterans. 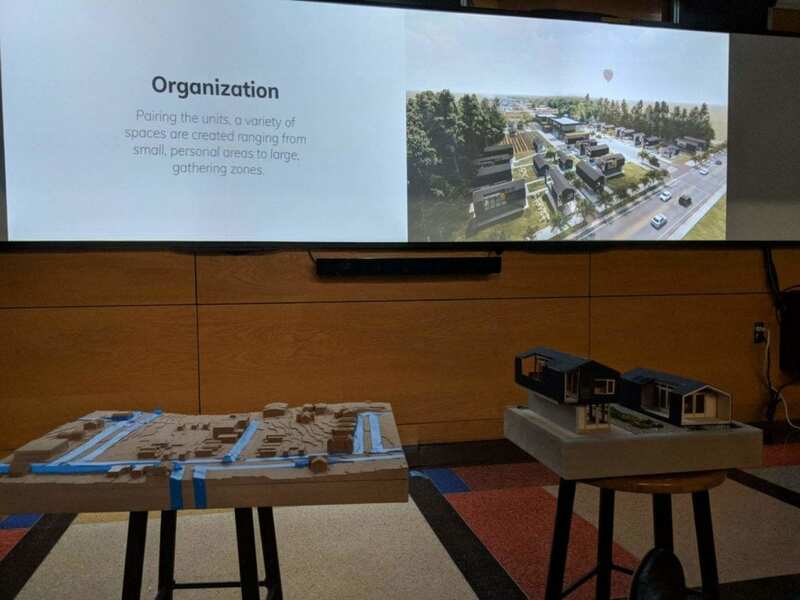 Throughout the semester, faculty and graduate students completed research on veteran homelessness and support services, as well as precedents and best practices of micro housing, tiny home collectives, supportive housing, and manufactured housing. They also engaged with various constituencies, and designed prototypical tiny home collectives for a range of sites in the Triangle area. Students designed proto-typical, adaptable units, including materials, assemblies, and construction methods. 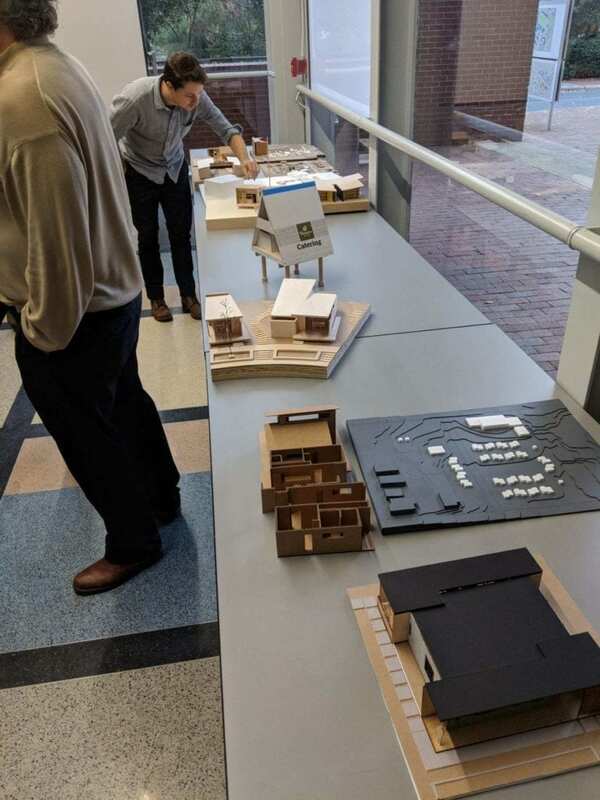 National and local experts on affordable housing, including our own Craig Bethel, participated in the project by lending expertise and feedback on the student architectural design proposal presentations. We are very impressed by this group and know that they will be a bright addition to the future of architecture and affordable housing efforts. Research and design outcomes and recommendations will be documented in a project publication in 2019. *The North Carolina Coalition to End Homelessness has a particular focus on ending veteran homelessness in North Carolina. One contemporary solution to veteran homelessness are tiny home villages. Tiny homes are small, complete, single dwellings that range from 150 – 400 square feet. Tiny home villages are groupings of tiny homes on a single property that allow residents to live independently, while benefitting from supportive services.